"Mary, Queen of the clergy, pray for us: obtain for us numerous and holy priests. Amen." The vocation of the priesthood and religious life is vital for the life of the world. This is the way Jesus ordained it on Holy Thursday when he instituted the Eucharist and the priesthood and when Jesus sent the Twelve Apostles out to bring Christ and His Gospel to the world.. 2000 plus years later the apostolic succession of priests continues from that first Last Supper. It is my prayer that holy women (and yes, men too) of God will dedicate their prayers to intercede with God for vocations to the priesthood and holy priests. 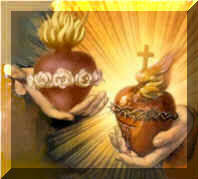 Oh Jesus, Eternal Priest, keep your priests within the shelter of your Sacred Heart, where none may touch them. Let your holy love surround them from the world's contagion. Bless their labors with abundant fruit, and may the souls to whom they minister be their joy and consolation here and their everlasting crown hereafter. 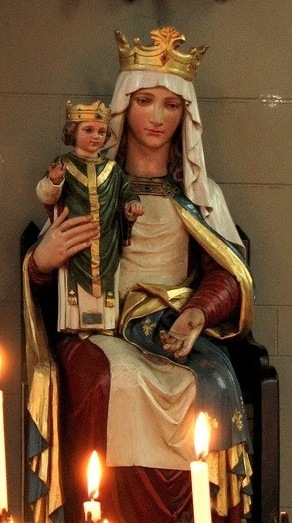 Mary, Queen of the Clergy, pray for us: obtain for us numerous and holy priests. AMEN. 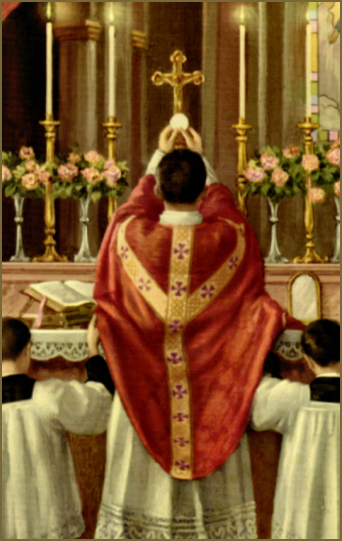 (2) Pray once a month before the Blessed Sacrament one of these prayers for priests. for Your dying priests; for the souls of Your priests in purgatory. the priests who taught and instructed me; all the priests to whom I am indebted in any other way. A Prayer offering ones sons to God for the priesthood and daughters to religious life. From a true story. The story of the town of Lu, Monferrato, Italy. The little village of Lu, in northern Italy, is located in a rural area 90 kilometres east of Turin. It would still be unknown to this day if some of the mothers of Lu had not made a decision that had important consequences in 1881. The deepest desire of many of these mothers was for one of their sons to become a priest or for a daughter to place her life completely in God’s service. Under the direction of their parish priest, Msgr. Alessandro Canora, they gathered every Tuesday for adoration of the Blessed Sacrament, asking the Lord for vocations. They received Holy Communion on the first Sunday of every month with the same intention. After Mass, all the mothers prayed a particular prayer together imploring for vocations to the priesthood. and 171 nuns belonging to 41 different congregations. This confraternity is inspired by several stories such as this. “O God, grant that one of my sons may become a priest!